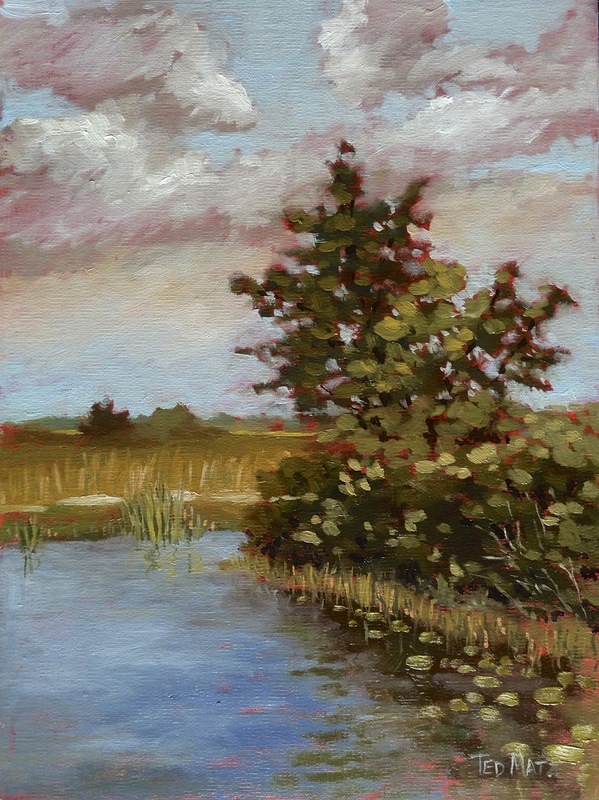 Spent the morning at the Loxahatchee Wildlife Preserve in Boynton Beach doing this plein air painting. It was an absolutely beautiful morning and had to hurry because they were predicting thunderstorms. Not a good place to be in a thunderstorm. This piece is a 9×12 and took about an hour and am fairly pleased with how it feels and liked how I captured the look of the clouds, with their pinkish/purplish cast to them. Love painting these marsh low land areas of Florida.